Prominent & Leading Manufacturer from Ahmedabad, we offer frp portable fibreglass cabins, fabricated frp porta cabins, frp cabin, frp portable office cabin, frp watch tower cabin and frp shielding security cabin. 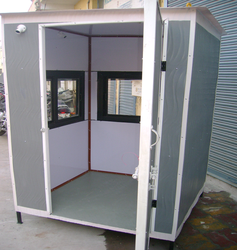 We manufacture FRP Shielding Security Cabin that are of Frp products. These Frp products are of high quality, They are known for their quality. 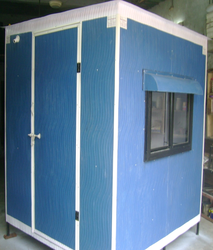 We offer our customer fRP Cabin of best quality. 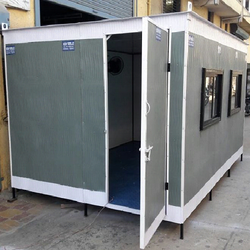 As a noteworthy entity of this domain, we are instrumental in rendering premium quality of Watchman FRP Security Cabin. 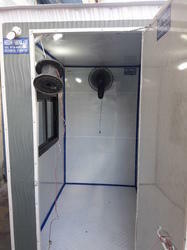 Made from high grade fiber reinforced plastic with standard size, the FRP base portable toilets are easy to install and clean. 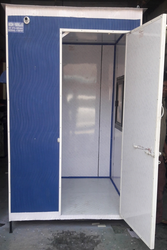 Well-equipped with all the sanitary requirements, the FRP base portable toilets are manufactured by using latest technology. 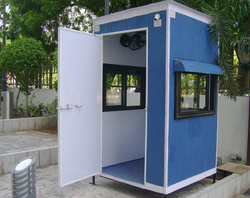 We hold expertise in offering an exclusive range of FRP Portable Security Cabins to the customers. 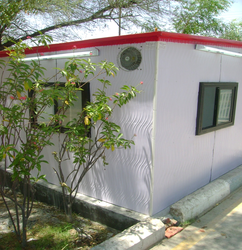 Our product is highly demanded by the clients due to its portable designs, sturdy construction and durability. We are offering this collection in three models for suiting different purposes and needs of the clients. Moreover, these products are offered at reasonable prices, which helps in avoiding the budgetary constraints of our clients.